Applications for our 2019 events are now closed, but if your an artist, maker or designer interested in applying to our future event please read through the information below. Application forms will appear on this page when they are available. We have two events in the year, one in the summer and one in early November. Forms come out in January for both events with the deadline at the end of February, the selection process takes around 2 weeks from the application deadline. It's free and the forms are simple to fill in, you'll need to send them with 6 images of your work. If you don't want to miss it please consider joining our mailing list, finding us on twitter/facebook. Really beautifully made work with attention to design, detail and finish. At the moment we are not looking for food or beauty products. We look for work that is handmade rather than composed of elements that have been bought and put together. We look for originality and variety. A really good standard of photography of your work is very helpful when you are applying, it may also be useful to have a photograph of a previous stall. Take a look at our exhibitor pages if you are looking at the kind of work that has been here before. 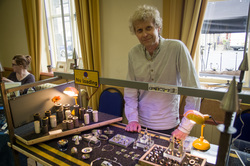 We also have 2 invited stands that showcase makers at the zenith of their career. There is opportunity for alternative installation/performance/arts based events inside and outside the venue, if you have an interesting idea please get in touch. We have a group of selectors that change with each event. Some events get very over subscribed with one area, such as jewellery or textiles, so part of the selectors job is to create a balanced and varied show. We frequently have twice as many applicants as the venue can handle so it is important to make your application stand out in a crowd. Masham is a small creative Market Town with a strong events programme. 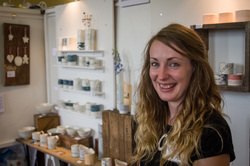 Crafted By Hand has a fantastic level of support from both locals and regular visitors, and the vast majority of exhibitors report really excellent sales. Our feedback regularly tells us how warm the welcome is here and how much the volunteers are appreciated as well as the free tea and coffee. We promote the events very widely online and door to door. Our marketing network includes the mailing lists of Masham Gallery, Artison and lots of other creative networks around North Yorkshire and further afield. Our events so far have always had around 1000 buyers at each, so it is busy. We ask you to be set up by 9.30am for doors opening at 10am. Set up for exhibitors opens at 7.30am. You'll have an exhibitors pack on your stand with a name badge, information for the day and refreshment vouchers. 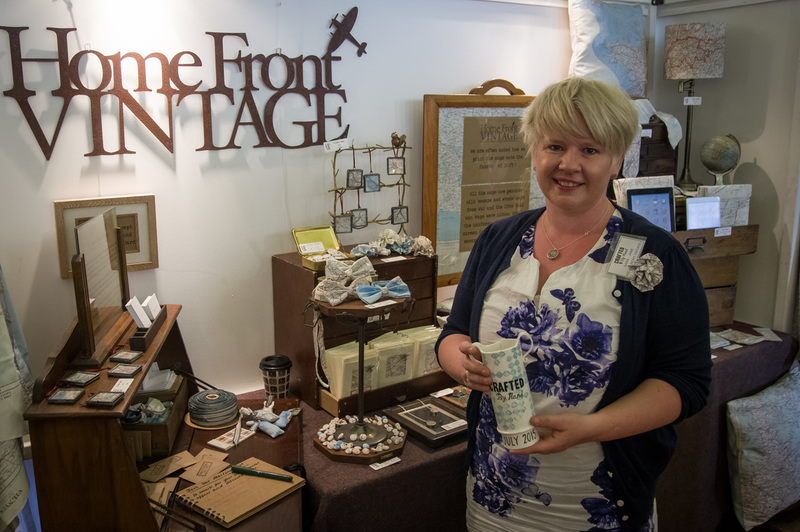 Before we open we will gather you to give you any relevant information for the day and to present the "best presented stand" trophy, a lovely handmade ceramic trophy to keep, made by Charlotte Morrison. The winner of this also recieves £50 to spend on another stall that day. Volunteers are given £5 vouchers to spend at the stalls too (which do get spent) we reimburse your vouchers at the end of the event. There will be an area within the venue set aside for homemade refreshments. Masham Town hall is on two levels the upper accessible by a lift and stairs. Table stands are a 6ft x 2ft table with 2 chairs, near an electric point if you have specified that, boarded stands have white wooden boards with a display area of 1 x 8ft x 4ft 2 x 2ft x 4ft and 2 spotlights. One chair comes with the boarded stand if you want it. A little time lapse video of a set up in the top hall of the venue.